As I'm now 6 weeks into life as a parent of two I'm starting to learn all the tricks, essentials and ways of coping. Parenting is a constant learning journey, but right now I've got enough tricks under my belt to get through a day with a baby and toddler and still have a smile on my face. As it's summer a lot of these essentials and tricks are based around surviving the hot weather, keeping cool and family days out in the sunshine. As well as being multi-purpose because there is no way I'm strong enough to carry out separate things for Poppy and Isabella; it's all about products being versatile. So I thought I'd share five of my top summer essentials because they've made my life easier and they could yours too. 1) WaterWipes* - Having both a newborn and toddler means that we've had to change the wipes we were using. Isabella did have fragranced ones prior to Poppy being born, which aren't recommended for use with newborns. 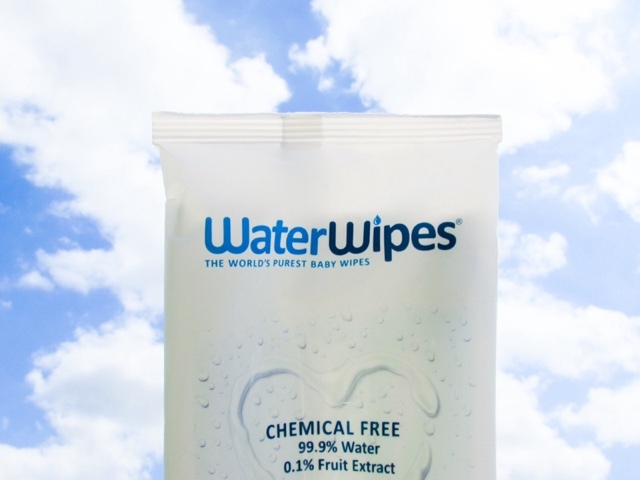 So we have changed to WaterWipes because they're 99.9% water therefore gentle for newborn skin. We've been using them for nappies, but also wiping all over their bodies to help cool them down, cleaning up ice-cream spillages, freshening up after getting sweaty running around etc. 2) Muslin cloths - This is an obvious one and an essential for pretty much all parents, but recently we've found another purpose for them. Recently Isabella had started to bite random things, like her cuddly bunnies, and I wasn't sure why. Then I had a look in her mouth and found a few large molars making their way through her gums. I had a teething toddler! I felt awful because it hadn't dawned on me that she could be teething, for some reason I though those days were over (despite Isabella clearly not having all of her teeth). When her teeth are troubling her now I'll give her a clean muslin cloth and she bites it to ease the pain. It saves her biting her clothes/cuddly toys and is much easier to wash! 3) Mini portable fan - We keep this in the bottom of the pram, so that it can be used when we're out in the hot weather. Isabella likes to cool herself down with it or 'help' cool down Poppy. It's just a good one to carry around for those really hot days. 4) Baby carrier - I have been using a baby carrier (mainly in the Ergobaby 360* or sometimes in the Fornessi wrap) every time I have taken Poppy out since she was born. It is such a convenient way to carry her around because it keeps her close and settled. 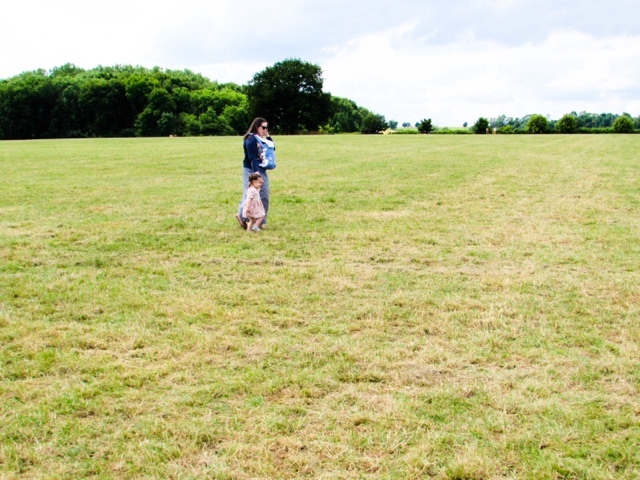 During the summer so far we have visited a lot of festivals/events on grass where pushing a pram would be very difficult (and a very bumpy ride! ), so I've opted for carrying Poppy while my husband carries Isabella in the back carrier. It has meant we both have our hands free for eating delicious food/drink, all children are contained and happy and that makes the event a lot more enjoyable. I especially like using the Ergobaby 360 on days out because it has a privacy hood that helps to keep Poppy shaded, a lot easier than constantly moving the sun shield around the pram as we walk around! 5) Summer Infant Soothing Turtle* - If you close your eyes, turn on the calm waves noise and lie back you could...almost...be on a golden beach somewhere hot. Not in your back garden, being jumped on by a toddler and trying to wipe away all the sick stains from your baby. The white noise works a treat on calming Poppy down and a lot of the time will send her to sleep. We've been bringing it with us on longer car journeys because it is transportable and easy to pop on if Poppy starts crying. On many occasions it has sent her back to sleep while we've been stuck in dreaded traffic, so it is truly an essential for us now. Isabella also loves looking at the lightshow (it projects coloured stars), therefore keeping them both calm and settled. 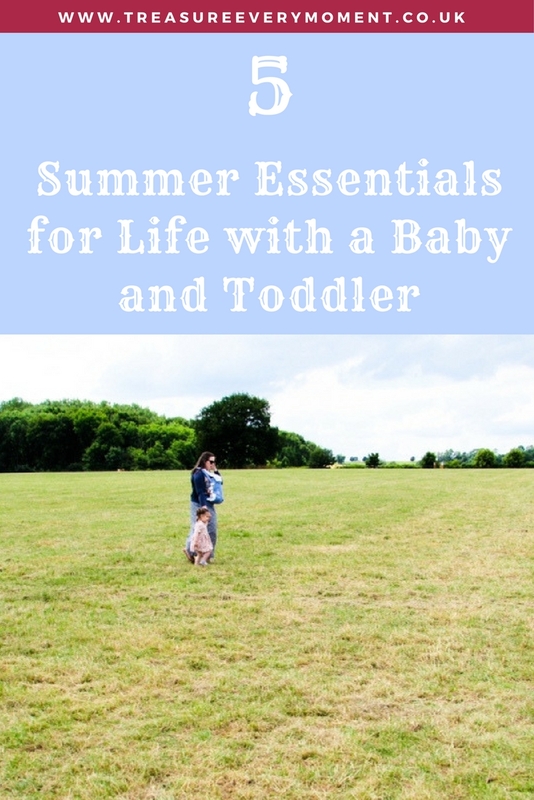 What are your parenting summer essentials? Lovely list, I heartily agree with all! Hope you're enjoying every minute with your new bubba. 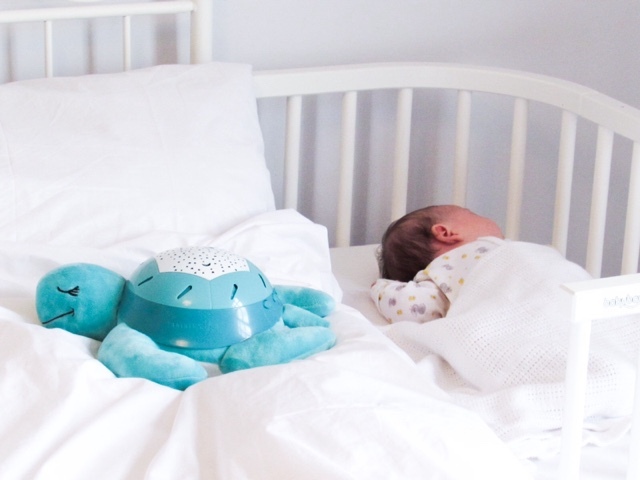 Ahhh we had an earlier addition of this turtle when my daughter was little and she loved it - so soothing! We love water wipes as they're the only ones we've found that are gentle enough on my son's skin. We usually use reusable wipes but these are a great back up! Oh Yes, I can agree with all of these items. A great list of items to have with any toddler. I love our Ergobaby carrier now Monkey is a bit older. I loved the caboo carrier when he was really tiny though. Baby wipes are the best thing ever invented, I think! So versatile! Those sound like super baby carriers too. All must haves. Baby wipes are life saver. The Soothing Turtle looks like the most adorable thing! And so useful! Baby wipes will always be my summer essentials, whether my kids are babies or teens! We never leave home without them, especially Water Wipes, I use them on my face just to cool down! Definitely the mini portable fan my little one would get so irritable without it. I never got on with a baby carrier :( We have a musical seahorse which is now soothing its third child to sleep! 1,2 & 4 got me out of some bad situations. 1 kept B's bottom clear of nappy rash! 2 Kept me clean & dry. We opted for rather expensive ones, which my mum proceeded to shrink haha. We are big water wipe fans, great for those with sensitive skin.